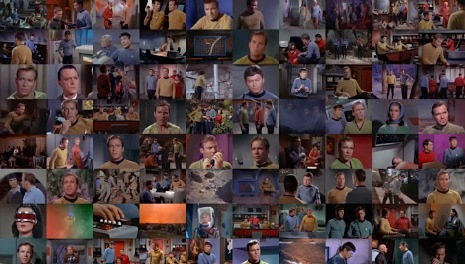 YouTube user Omni Verse has put together ten minute packages of your favorite cult TV shows in an intense “videoggedon,” where all the episodes are played at the same time! From Star Trek and The Twilight Zone, to Kolchak—The Night Stalker, Planet of the Apes and Doctor Who. This is like a ten-minute sugar rush of cult TV heaven! Find them all at the always-illuminating Dangerous Minds. 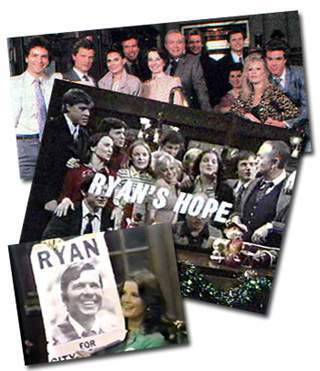 As we lean back, we might recall that on this date in 1989 ABC broadcast the last episode of Ryan’s Hope. Born in 1975, the show’s creators had taken the unusual step (for a soap opera) of setting the series in a real community, the Washington Heights neighborhood of Northern Manhattan. That, and the their forthright treatment of then-edgy issues– extramarital and premarital affairs, the attendant children out of wedlock, careerist women, the assertion of abortion rights, and the clash of generational values in the Ryan clan– quickly won it a loyal following. But as society caught up with Ryan’s Hope, the show’s edge dulled, ratings dropped, and it was brought to a close.